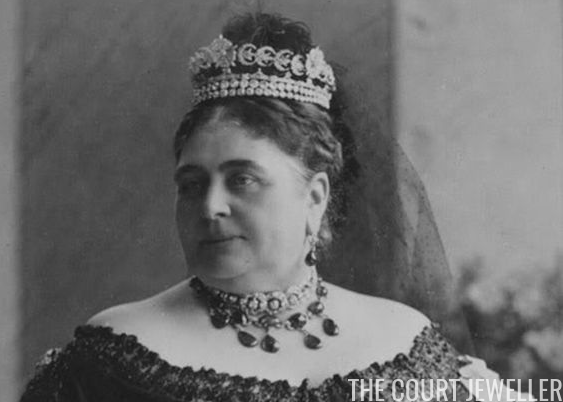 The British royal vaults contain lots of hidden treasures, and today, we're looking at a piece that hasn't been worn in public since before World War II: the Teck Crescent Tiara. 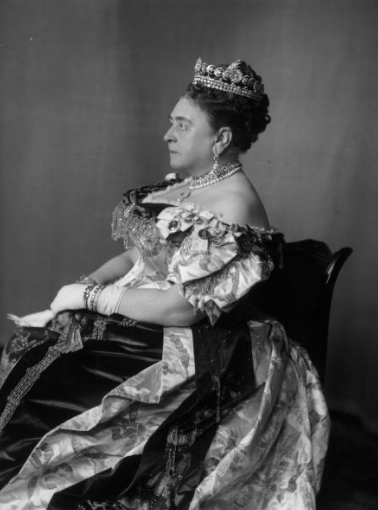 The tiara’s first wearer was Princess Mary Adelaide of Cambridge, the daughter of Prince Adolphus, Duke of Cambridge and Augusta of Hesse-Kassel. She was the granddaughter of one king (George III) and the grandmother of two more (Edward VIII and George VI). Mary Adelaide married Francis, the Duke of Teck, and they became the parents of Queen Mary, linking them back once more to the main line of the royal family. But Mary Adelaide kept close ties to her British family long before her daughter married a Windsor. Her godmother was her aunt, Princess Mary, Duchess of Gloucester. When Mary Gloucester died, she left Mary Adelaide a collection of jewels, which she combined into this rose and crescent tiara. Hugh Roberts identifies one item from Mary Gloucester's will ("the diamond bandeau for the head and three diamond roses") as the likely forerunner of the crescent tiara. 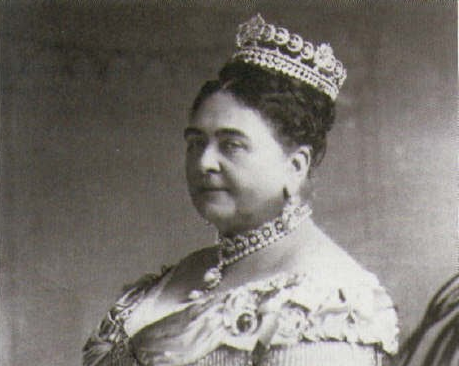 Mary Adelaide often wore the tiara with two extra rows of diamonds at its base. The tiara exists today as a row of twenty diamond crescents hugging three diamond-set roses, with a slim band of diamonds at its base. The crescents on the tiara can actually be worn facing either backwards or forwards, and there are photos of its wearers sporting it both ways. 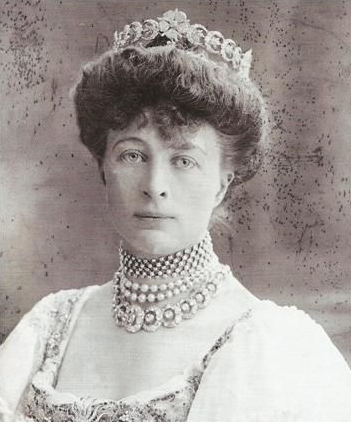 When Mary Adelaide died in 1897, the tiara was inherited by her eldest son, Prince Adolphus. He had succeeded his father as Duke of Teck, but he renounced that German title during World War I and was made Marquess of Cambridge instead. 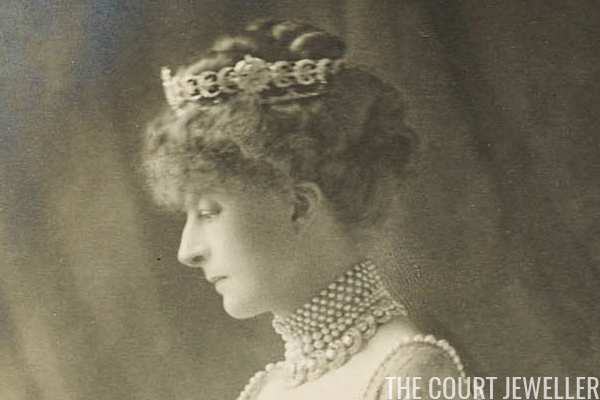 The tiara was worn by Adolphus's wife, Margaret (who was a daughter of the 1st Duke of Westminster). In 1901, a new frame was made for the piece. At some point -- this part is a little unclear -- the tiara ended up in the hands of Margaret's sister-in-law, Queen Mary. We don't know precisely how she got it, but by the 1930s, it was in her collection. To my knowledge, Queen Mary was never photographed wearing the tiara. Instead, she passed it along to her daughter-in-law, Queen Elizabeth (later the Queen Mum). It was never one of the Queen Mother's favorites; in fact, she made only one known public appearance in the piece, at a banquet in Canada in 1939. The tiara didn't surface again until it was included in the major exhibition of tiaras at the Victoria and Albert Museum in 2001. The Queen Mum kept the tiara in her possession until her death in 2002, when it became the property of the current Queen. Today, the tiara is currently in the hands of another member of the family. It’s one of the tiaras that was given by the Queen to the Duchess of Cornwall as a long-term loan after her wedding to Prince Charles. Camilla has worn both of the other tiaras lent to her by the Queen (that would be the Greville and the Delhi Durbar), but she has yet to wear this tiara at a public event. We got to see wonderful photographs of the piece in Hugh Roberts's book, but alas, it's sitting in the vaults right now. Here’s hoping we get to see this heirloom get an airing someday soon!